Stupid Stupid Stupid is the second album by British band Black Grape. It was released in 1997. The original UK CD release of the album had hollow plastic "googly eyes" glued to the front of the CD cover. Subsequent editions were released in a standard case. Stupid Stupid Stupid is often considered to be similar to the band's debut album, but without that album's "infectious beats, mammoth hooks and surreal humour," and instead displaying a heavier soul influence, with "Lonely" being a direct cover version of the Frederick Knight song. Brent DiCrescenzo of Pitchfork Media described the music as "Manchester dance, funk, pop and rock. Loud, obnoxious, and perfect for the setting." 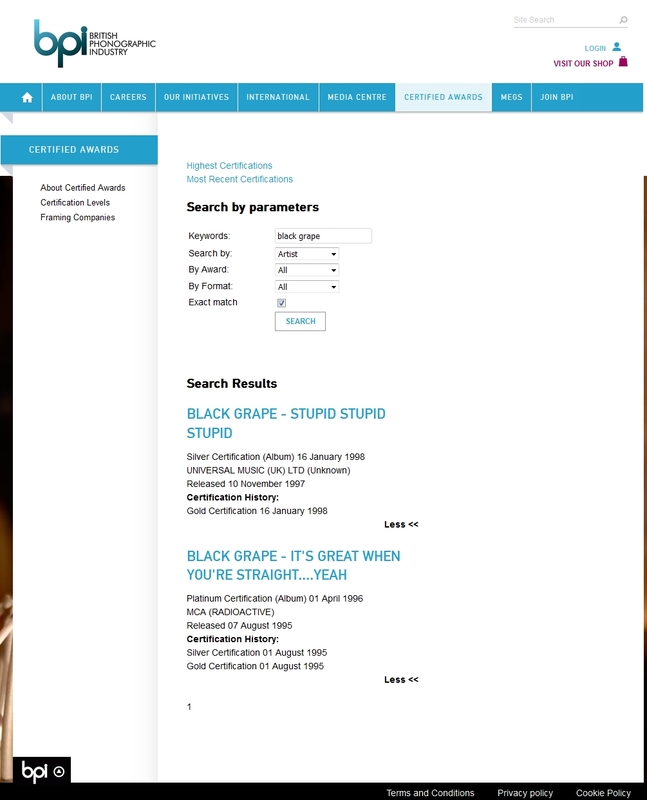 ^ a b "Stupid, Stupid, Stupid - Black Grape - Songs, Reviews, Credits - AllMusic". This page was last edited on 31 October 2018, at 01:22 (UTC).